Sterling silver bail w/cz stones, 6x20mm, grip length 4.5mm. 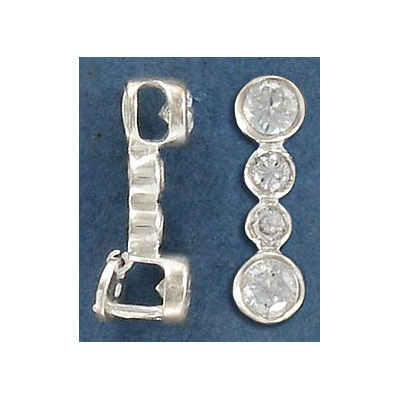 Frabels Inc.
Sterling silver bail w/cz stones, 6x20mm, grip length 4.5mm. (SKU# BAF51/SSWH). Sold individually.